With the holidays upon us and 2016 ending I would like to once again thank you for choosing to be a part of PCN. We recognise that you have a choice of many networks and are delighted that you joined ours. It goes without saying how incredibly proud I am of our network and to have our 6th Annual Summit still fresh in our minds (and our largest to date!) is fantastic. Now that we are a well-established organisation, we are more determined than ever to maintain our status as a high quality and serious group of professionals. PCN is not necessarily intending on getting bigger, just better. As you know, one of the main challenges in our industry is the lack of training and staff development in the heavy lift and project logistics sector, especially with new and young members of your team. In 2017, we aim to help resolve this by launching the PCN eLearning Platform, which will incorporate a comprehensive 5 module online training program. Having skilled and capable staff is crucial and thorough training is essential in today’s heavy lift and project cargo industry. Practical ‘on the job’ experience needs to be paired with theoretical knowledge, as this leads to a deeper understanding. Each module will have assessments to make sure that the subject has been fully understood before progressing to the next topic. When the training is completed the user will understand the practical, operational and engineering aspects of heavy transport, heavy lift and project cargo and will be able to ask pertinent questions at the relevant time and understand the industry terminology. Please see our Members Area to view a list of topics that will be covered. We plan to add more advanced modules at a later date to assist our more experienced Members. PCN works hard to develop new membership benefits and has invested in both the bespoke training and the eLearning platform so that it can be provided at a heavily reduced rate of only £250 per user. We could not be more excited about what’s in store for PCN next year, and for the opportunity to work with all of you to make it happen. Please make sure you “take a breath” during the holiday season and enjoy time with your friends and loved ones. 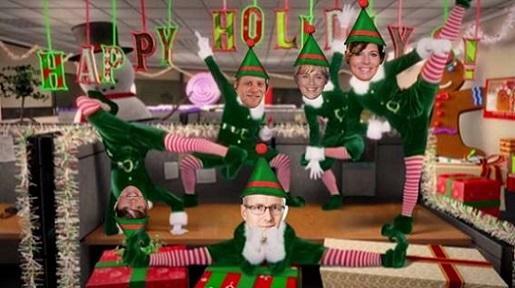 For now I will leave you with this “Happy Holidays” video from the PCN Head Office staff!